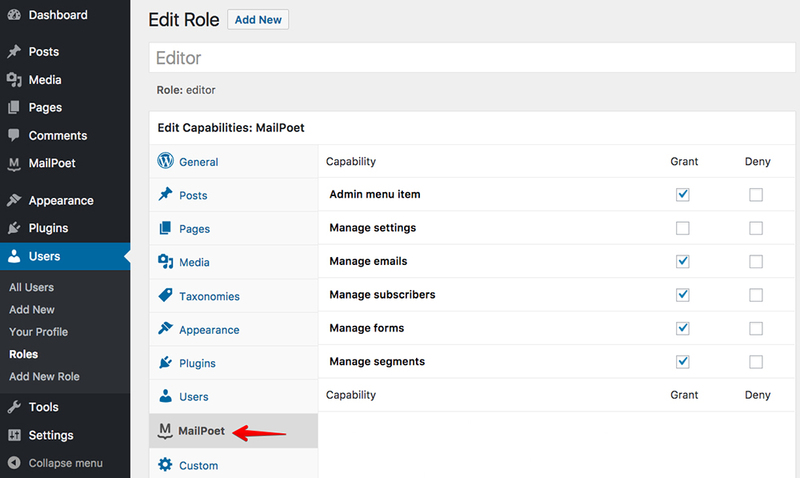 By default, users with administrator role have full control over the plugin and those with editor are only allowed to create and send emails. 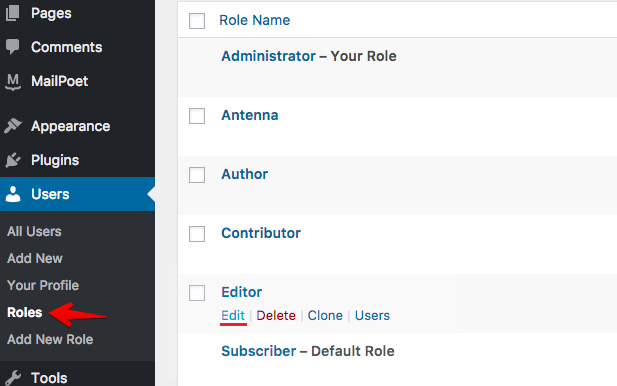 You can manage all users' roles capabilities with the plugin Members. 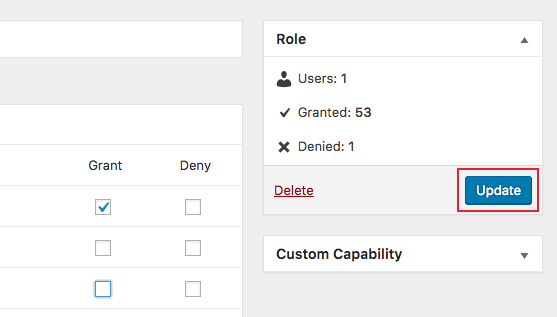 If you don't check either grant or deny boxes, the permission will be automatically denied for the user. Don't forget to click on the Update button after you finish editing.